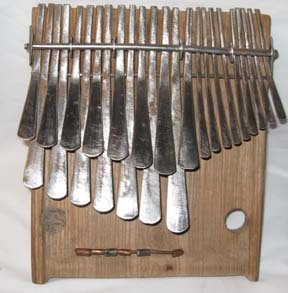 Garikai Tirikoti is an mbira legend. Not only is he an instrument maker, he is also a musician. His early start at tuning mbiras for others at the age of six, and drawing from a lifetime of making and playing mbira, he brings a unique approach to the music and instrument making. 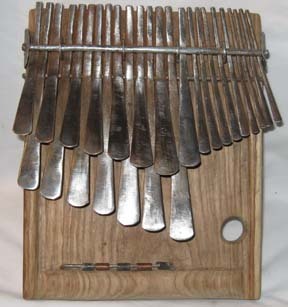 One of the fastest mbira players alive today, critics have used the word "velocity" to describe his playing speed. Mr. Tirikoti prefers to build his instruments from wood carved directly from the mubvamaropa tree without any special treatment rendering his instruments uniquely native.